Thornton & Lowe is a family of professional services businesses, which cover consultancy, training and software. They are jointly owned by Directors Dave Thornton and Tom Anderson. They are responsible for the strategic direction, vision and sustainable growth of Thornton & Lowe. Dave and Tom also work as business mentors working closely with a small group of organisations. Click here for further information. With a background in EU procurement, Dave founded the business in 2009. 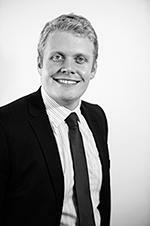 He is now responsible for the strategic direction and sustainable growth of Thornton & Lowe. He provides hands-on support with regards to bid consultancy and procurement projects, as well as providing guidance and monitoring progress of the team. 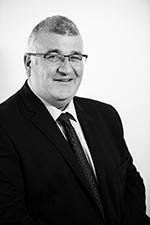 Tom has over 25 years experience in the public and private sectors. He comes from a background of manufacturing and operational management, which has seen him involved in many frontline government schemes both in the UK and abroad. An experienced bid director, coordinator and bid manager, Tom has the skill set to perform on both the shop floor and in the boardroom. He is often called upon by clients for his innovative solutions to complex issues. Tom has a passion for developing new products and leads on major projects, international business and our significant healthcare opportunities through Collective Care Consortium.